Join us for a fun acoustic set from Kid Indigo during First Friday art walk. He’ll be jamming while we will be pouring samples of our specialty cocktails on tap! 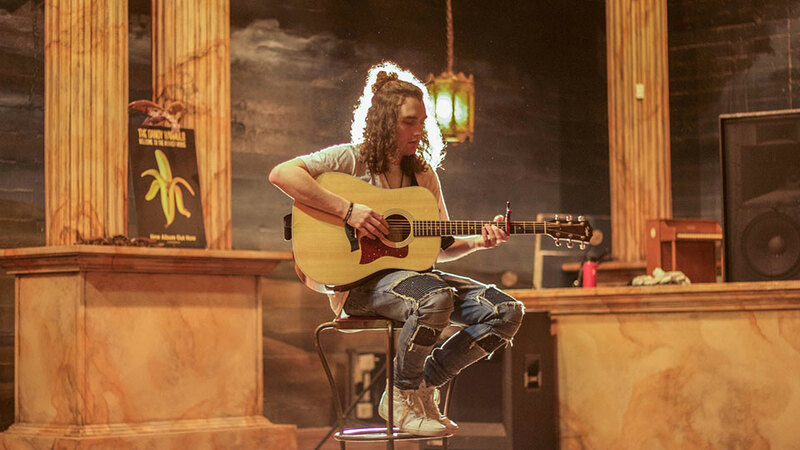 Melodies, ukuleles, and island vibes are some of the things that come to mind when talking about Portland, OR artist Kid Indigo. The talent and diversity with Kid Indigo is self-evident since he is also known for being the lead singer of the Indie/Pop/Reggae band, Foreign Talks.